Holiday shopping for your pets isn’t easy. After all, they can’t tell you or Santa what they want in their stocking. 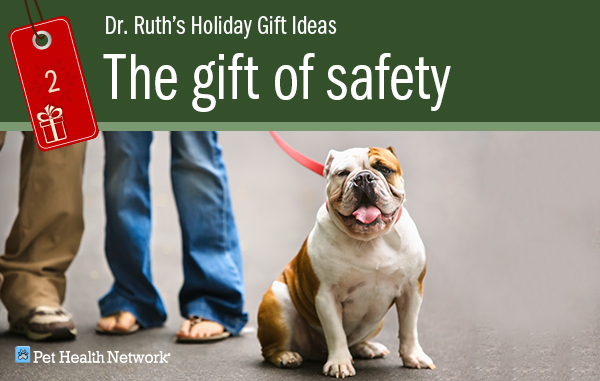 If you’re still trying to find the perfect gift to thank your loyal, four-legged best friend, think about some of these gift suggestions. They are sure to bring a wag to any dog’s tail. 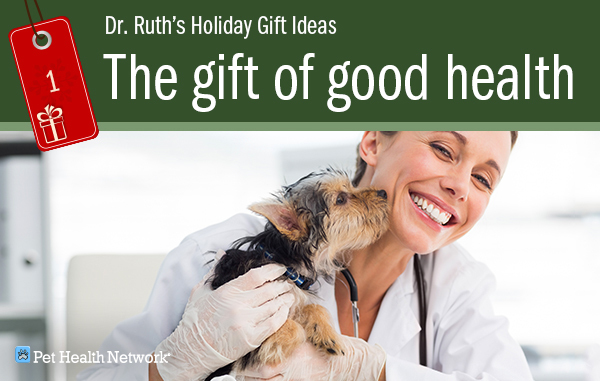 Give your pets the gift of good health. Make sure your pets receive regular checkups. All pets should be seen at least once a year; pets older than seven should be seen every 6 months. These examinations allow your veterinarian to ensure your pet is protected against preventable diseases and helps her stay ahead of potential health problems. In the long run, regular checkups not only save you money, but also, ensure that your pet will live a long and healthy life. And what’s more important than the gift of good health? What could be more fun than a new toy? Unfortunately, with so many choices, it can be hard to pick. Two great choices in my opinion are toys from Kong® and Harry Barker®. In addition to the durable, iconic rubber dog toys they are known for, Kong® offers a diverse array of toys for both dogs and cats, including stimulating, interactive toys that will reward your pets for their persistence and ingenuity. Harry Barker® makes durable, eco-friendly toys for dogs and cats. 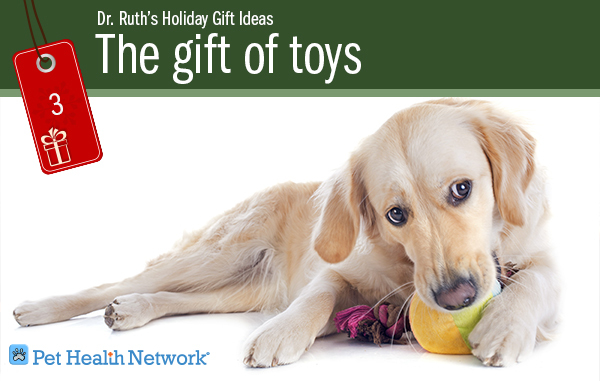 Made from sustainable cotton, natural rubber, and hemp, their collection of dog toys will keep your dog entertained. 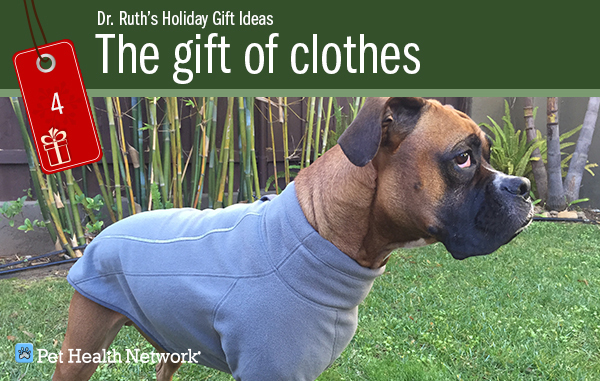 Keep your dog warm and fashionable this winter with a Ruffwear® dog jacket. Ruffwear® offers a wide selection of jackets to protect your dog from the elements. The Climate Changer™ fleece jacket is made out of recycled polyester and has reflective tape to keep your dog safe during nighttime walks. It is also wind and water resistant, and dries quickly. Your dog will not only stay warm and toasty during the winter, but will also look great doing so. Treat your pet to an eco-friendly bed by P.L.A.Y (Pet Lifestyle and You). P.L.A.Y offers an assortment of comfortable, stylish beds for dogs and cats. 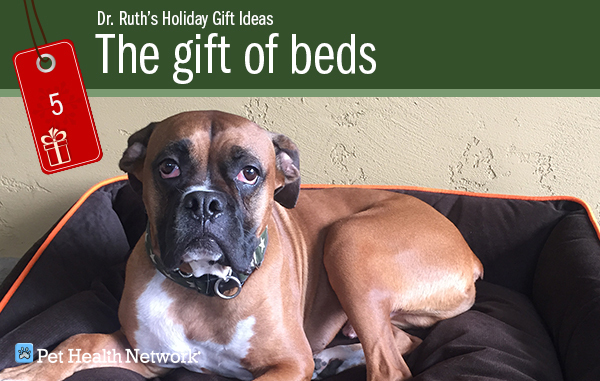 All of their beds have removable washable covers for easy cleaning. To minimize landfill waste, they also sell replacement covers so you don’t have to buy a new bed when the old bed gets too smelly. Even their filling is made from certified-safe, 100% post-consumer recycled products. P.L.A.Y beds are not only comfortable for your pet, but also good for the environment. 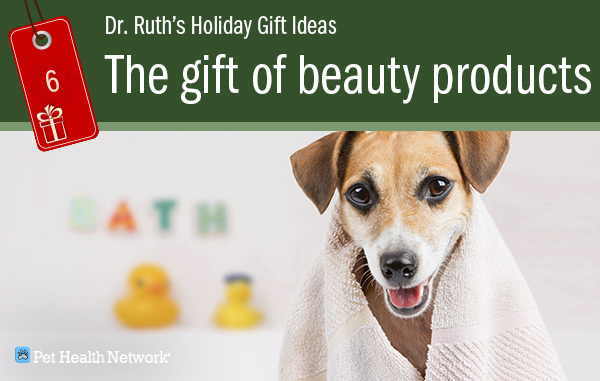 Give your pet the gift of beauty. Pamper your pet with a shampoo, conditioner, or pet wipes from John Paul Pet products. Developed by John Paul DeJoria, co-founder of Paul Mitchell products, John Paul Pet products carry on the tradition of never being tested on animals. In fact, their motto is “tested on humans first.” Their botanically enriched products are pH balanced to be gentle on your pet’s skin and to help your pet not only look, but also smell better.